Marks Maponyane outside Tembisa Magistrate's Court. Gallo Images. Maponyane reportedly hit his then wife in the face with a hanger over an argument about infidelity. 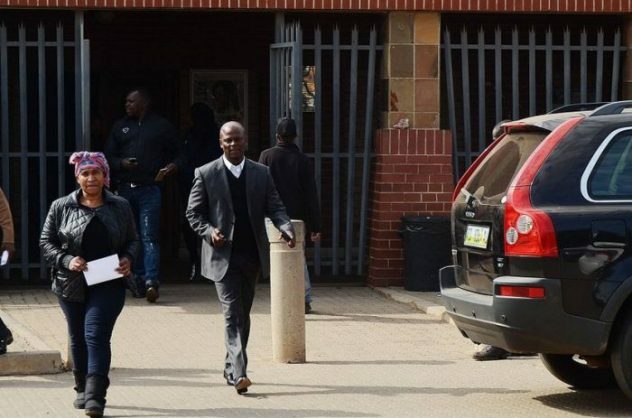 Sunday World has reported that former Kaizer Chiefs striker Marks Maponyane was found guilty in the Tembisa Magistrate’s Court of assaulting his then wife Sylvia. Maponyane was fined R3000, with the alternative of six months’ imprisonment. A further fine of R6000 or jail time of two years was wholly suspended, so he had better not repeat the crime. The NPA confirmed the outcome. Maponyane, who had pleaded guilty, was not available for comment. His ex-wife said she still felt numb that 39 years of marriage could have ended in this way. She said the children were still not aware of the details. The assault reportedly occurred last year over an argument that Maponyane had cheated on Sylvia in their marital bed at their home in Centurion.